During our school day teachers incorporate Brain Breaks into their teaching as it increases attentiveness, concentration, and focus. Brain Breaks also increase circulation, coordination, and physical fitness. These one to five minute fitness breaks activate the brain and improve on-task behaviour. Movement increases oxygen-rich and glucose-rich blood flow to the brain which increases the students’ ability to concentrate. It also enhances memory. Breathing and stretching exercises calm and clear the mind, relieving tension and stress. We are encouraging pupils and families to take part in Brain Breaks. At HOME, Brain Breaks are useful while your child is doing homework. Your child can come up with a Brain Break or you can use some of the suggestions below. Think up any sport and do its move. Balance of different parts of your body e.g. back, tummy, bum. Balance with two, three, four parts of your body touching the floor. Call out different animal, child move like these animals e.g. elephant, monkey, snake, etc. 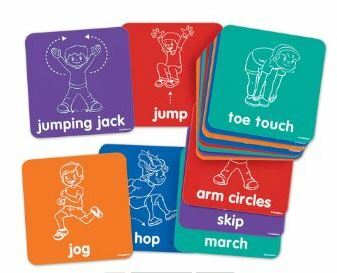 In this simple game, child stands up and adult asks child do five different movements in descending order. For example: “Do five jumping jacks, spin around four times, hop on one foot three times, walk all the way around the kitchen two times, give one high-five. Put on some rockin’ music and dance! Similar to Dance Party except that every so often the music stops and child must freeze and hold the position they are in until the music begins again.